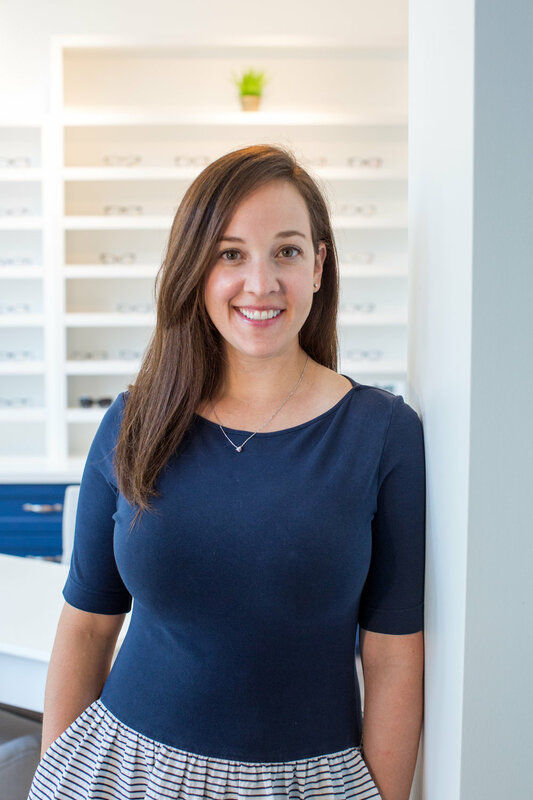 Dr. Kohn serves as chief optometrist and owner of Wilmette Eye Care. Originally from the Milwaukee area, he received his Bachelor of Science degree from the University of Wisconsin - Madison in 2005. Dr. Kohn earned his Doctorate of Optometry degree from the Indiana University School of Optometry in 2010. He completed externship training in various settings including Jesse Brown Veterans Hospital in Chicago as well as clinics in Indianapolis and Bloomington, Indiana. He has been caring for patients in the Chicago area ever since...continue reading. Dr. Jennifer Kohn (Dr. Jen) was born and raised in Valparaiso, Indiana. She attended Indiana University, Bloomington for her undergraduate studies where she earned an honors degree in biology as well as receiving minors in chemistry and anthropology. From there she entered optometry school and completed her Doctorate in 2008. The education at Indiana University School of Optometry included specialties in pediatrics, contact lens, and primary care. Her externships at multiple veteran hospitals also provided a focused education in ocular disease...continue reading. Wilmette Eye Care was founded on the principle of providing high quality care in an independent, local and friendly environment. the practice was established by Dr. Andrew Kohn in 2018 and we have been absolutely devoted to our patients in the North Shore since that time. We are also happy to serve patients in the surrounding communities of Winnetka, Kenilworth, Evanston, Glencoe and beyond.